Our Annual Birthday Bash sponsored by Metronet UK held at The Palace Hotel on Friday 5th February was a huge success! 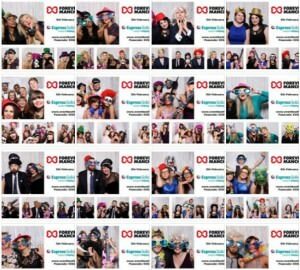 Nearly 500 passionate Greater Mancunians came together to celebrate another fantastic year of Forever Manchester supporting local people doing extraordinary things together across our region. Our Chief Exec, Nick Massey kicked off the night with a great speech talking about celebration, and how we all have the potential to be exceptional and how important it is to Forever Manchester to make people happy. The Palace Hotel was a beautiful setting for our Birthday Bash and was thoroughly enjoyed. Thanks to the generosity of individuals on the night as well as sponsors and corporate partners. we raised a massive £50,473 which will go to support community projects across the region. 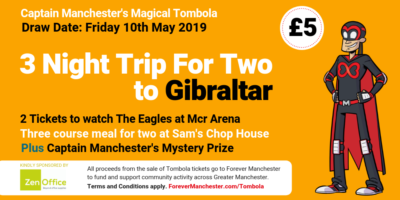 We’d like to thank our sponsors, which include; Metronet UK, Kyocera, Beever and Struthers, Manchester Building Society, Kellogg’s CDL, Express Solicitors, Tunafish Media, Weber Shandwick, The Barker Baker and AutoTrader. Thanks to the kind donations of these companies, we were able to put on a great night for our supporters to celebrate Forever Manchester as well as invite community groups to celebrate with us. Thanks also goes to our comperes, Tim Cocker and Jim Salveson who hosted what was a great night perfectly. 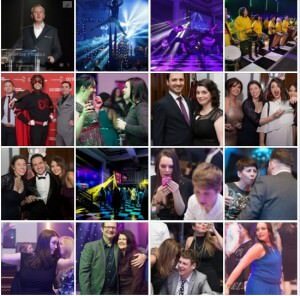 The night wouldn’t have happened if it wasn’t for the great team who supported Forever Manchester throughout the planning and the evening and provided their excellent services to us on a voluntary basis. These people included; Will Jarvis, Charlotte Chadwick, Sarah Raynard, Harriet Sutherland, Anna Kaskevica, Jess Occleston, Eleanor Smith, Monika Szabova, Jade Wright-Christie, Beth Williams, Chloe Heather Dearden, Adi Thomas, Ian Bratby, Kat Farys, Michelle O’Brien and Nicola McKeown and the team at The Palace Hotel. Vision Events‘ Lisa Clayton and Darren Howard and their team also ensured the evening looked slick, creating a great atmosphere and ensuring the night ran as smoothly as possible.